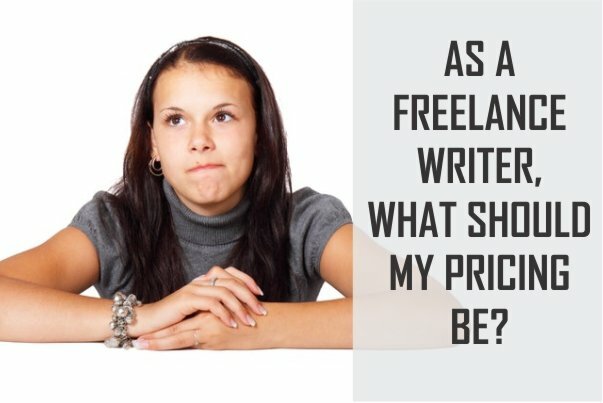 In this blog post, I covered quest such as How you can get started as a freelance writer, What you should charge as a Freelance Writer, The most common mistakes freelancers make when starting out, skills you need to practice to become a successful writer, and freelance platforms you can start up with while you build your portfolio. 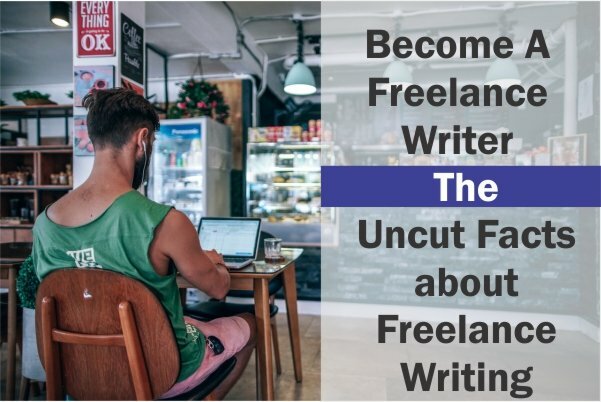 In the age of the Internet, it is easier than ever to become a freelance writer and start earning an income. Freelance writing as a career is possible for most people, but that does not mean it is appropriate for everyone. There is a lot of content out there about what a great freelance writing career is. And they make it seem so easy. You simply relate to an agency, you take performances in employment exchanges, you sign up on “offer for writing” sites and life becomes wonderful: you can sit on the beach, just write and make huge amounts of money. If this is what you think is to start a freelance writing career, then you may be looking in the wrong direction of the career. Freelance writing is in high demand, has a low entry barrier and is suitable as a side gig for students or workers from 9 to 5. 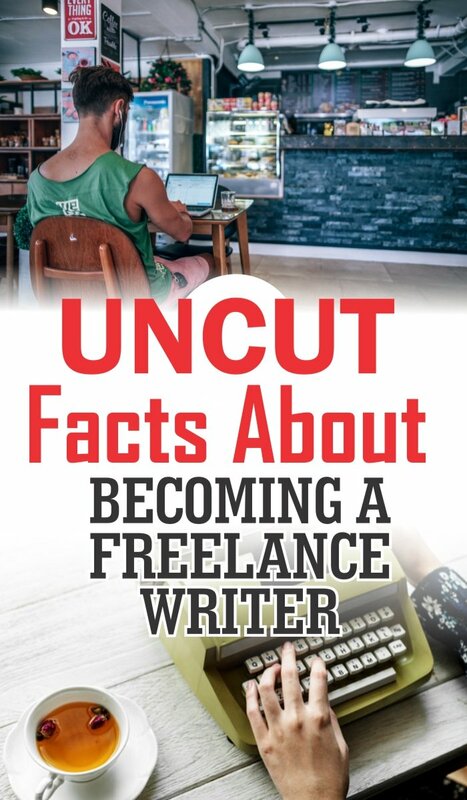 But, becoming a successful freelance writer and making enough money comprises a lot of work and sometimes of shortage before achieving a good income. HOW DO I START GETTING WORK AS A FREELANCE WRITER? When you pitch a client, the first thing they will ask is to see examples of your work. You need to have some published work ready to show at this point. So, what you should do before searching for clients is to communicate with popular blogs and offer to write guest posts. Write excellent articles and start building your reputation as a writer. Communication is the bridge that guarantees that you and the client stay connected. A study shows that 73% of Employers want candidates with this skill. Learn to write attractive emails and irresistible presentations. Google will be your research companion. Learn to use it well. There are specific ways in which you can use Google to search more deeply on the web. Start with Feedly and subscribe to a lot of blogs on all kinds of topics. Read articles every day to stay updated on current trends. Do not limit yourself to just one topic, be able to write about anything that crosses your path. Your work does not end when a client wins, in fact, it is simply the beginning. You must be truly committed to ensuring that you deliver the highest quality of work within the promised deadlines. Joseph Emeka published how he under promised and over delivered in his Facebook post. This will help you build trust and also result in repeated work from clients who like your work. Your customers will ask you to optimize articles and web content for search engines and add keywords. Familiarize yourself with this. 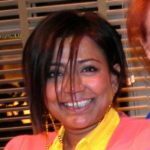 Launching a blog will not only help build your reputation as a writer, it will also give you an advantage over other professionals. It’s better than having a master’s degree in literature. This is a skill you must master. You should be able to perform light to deep top research from scratch. An excellent writing style helps you mint words, but the underlying content must be well researched and should benefit your readers. AS A FREELANCE WRITER, WHAT SHOULD MY PRICING BE? What experience do you have doing that? What are the average people expecting to pay for that service? What is the hourly rate you want to take? This applies even to projects that will not be done every hour. How many hours will the project take you? Be generous. Multiply that, and that’s what the customer should lean towards. So, if my hourly rate is $100 (theoretically) and I think it will take me 4 hours to do a job, I tell the client that it will cost $400. Obviously, you must be realistic. We would all like to earn $ 500 / hour, but a client may not be willing to pay $ 2,000 for a blog post if you have no experience. What are others charging? What could this company be willing to pay? Are they a small nonprofit organization with a tight budget or a large multi-million dollar company? What you charge is what customers will pay. No client will pay you more than you ask for. Ask what you’re worth. Do not underestimate yourself. You should not earn $ 20 for hours and hours of work. You simply should not. Your rates must be competitive but fair to you. When you start, set your hourly rate. Set it higher than it feels comfortable with just a little. Do not accept, under any circumstances, anything below that. Not all jobs are hourly, obviously, but you can always calculate how long a project will take and, therefore, what should be paid. Set your rate, don’t go below it, and increase it often. WHAT ARE THE MOST COMMON MISTAKES FREELANCE WRITERS MAKE WHEN STARTING OUT? One big mistake is not realizing how many other freelance writers are competing with you for projects. To write for a magazine as a freelancer, you must send a “pitch” that describes your proposed article idea. For popular magazines, the acceptance rate of a pitch can easily be less than 1%. You will end up writing many queries that, although amazing, will be rejected or may never be seen. Another mistake is not to establish how much the publisher is willing to pay (in any case). It is easy to let this happen, thinking that later you will solve it with the company/employer. However, you may end up realizing that they do not offer compensation (just an exposure opportunity, which can be excellent if you are a beginner and have an alternative source of income). The acquisition of a college education will be excellent for two reasons: it will teach you how (and what) to read, and will teach you how to read your work out loud. A skill that reveals more about your writing than any amount of silent reading. But college education will not teach you about the underlying business model of the world of writing. 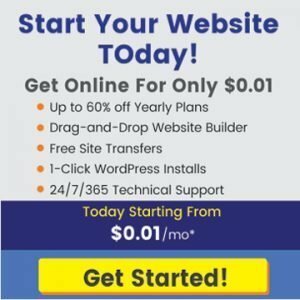 It will not explain how blogs and major websites earn money through digital advertising and how writers can earn money by generating page views. Anything that is outside of learning how and what to read, all the other parts of the “digital writer’s” path is what you should teach yourself. 1. The habit of writing. If you want to be a writer, you must write. There is no modest way to say it. I have seen people who expected to be inspired, waiting for some external nod of approval instead of just going ahead and putting pencil on paper (or fingers on the keys). I tell you that unless you can establish the simple practice of writing in your daily schedule, you will find it difficult to succeed. It is as easy as that. Stop reading here, because nothing else in this blog post will matter unless you can firmly establish this habit in your daily life. If you want to become a writer, you must write. Everyday. 2. The art of personal branding. People do not buy writing. They buy you. In the digital age, the utmost valuable thing you can create for yourself is a brand around who you are and whatever you write. You could be the most incredible writer the world has ever seen, but unless you have an audience, no one will read it, and even if you want to go the conventional publishing route, an editor will see you and your work as a bet. You have no followers on the internet. You do not have an email list of people ready to read your next job. No one knows who you are, and that is a problem. To attract and keep people’s attention, you have to give them something to feel loyal to and that’s you. 3. The patience to play the long game. There are two types of writing: the one that you share and the one that you sell. 90% of the artists, whether a writer, a musician, a filmmaker or a painter, want to get out of the door and have someone to pay them to create whatever it is they want to create. I learned that consumers only buy two things: what they like and what they need. Everything else, we ignore it, no matter how “bright” someone else says it is. Which means that, as writers, it’s our job to adopt a similar mindset: these are the things that I believe for myself (that someone else would like), and here are the things that I believe to solve a consumer need and get good benefits, which allows me to spend more time creating things that I enjoy. 4. The confidence to practice in public. When you publish something openly, when you practice in public, you receive immediate feedback from readers. You feel vulnerable. You fear people’s judgment. You see your work and the sentences with greater awareness. And, above all, practice the most important underlying habit of all: the confidence to admit. Can I give you a brutal truth? Nobody is waiting for you. And you’ll never be ready. 5. The humility to remove what wastes the reader’s time. Some writers love the description. They want you to see every blade of grass, every leaf on the tree, every long winding grain on the trunk of the tree that has become the kitchen table. Other writers love the dialogue. They want you to hear their characters talk and talk as if their voices were full of gold and a pleasure to listen to them indefinitely. Some writers live by the facts. They fill their paragraphs with statistics, footnotes and diverse information intended to add more depth to the topic in question. And some writers simply want to float in their stream of consciousness, letting their words lead the way without intervening and making a conscious decision to stop and move on to the next point. Part of writing in the digital age means understanding your audience, and today’s readers hardly have the patience to sit down and listen to a tweet of two sentences. Paragraphs of static description are kind of too big to ask readers of today, and many writers fail because they refuse to adapt to this change. 6. The mastery of multiple voices. As a freelance writer, the ability to write with a range of voices will be your most valuable skill (and easiest to monetize). There are dozens of different voices that a writer should refine throughout his career, including all the writing voices that must be implemented to promote himself effectively as a writer. 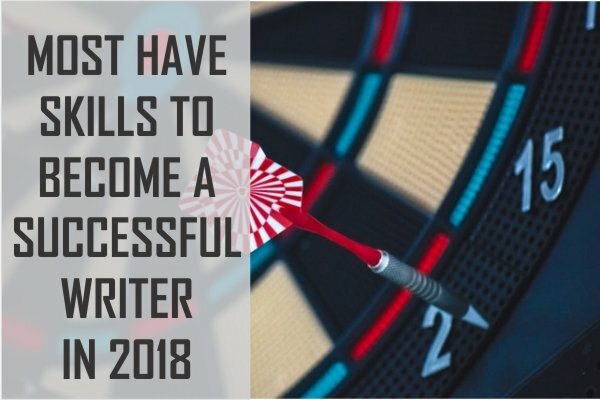 There is a skill to write sales copies, a skill to writing email sequences, an art to writing posts on social networks that can leave an impact on a reader in three or four sentences. There is an art to write articles that subtly promote your work, an art to write e-books that readers will want to download. And the reason why it’s so vital to nurture these business-focused voices is that you’re either going to learn how to do it yourself, or you’re going to have to hire someone (like Joseph) to do it for you. Part of being a successful writer in the digital age means being more than just a writer. You have to be the creative director, the salesperson and the strategist of the social networks as well. 7. The willingness to be both an artist and an entrepreneur. I really believe that every artist of today must also become an entrepreneur if he wants to succeed independently. This double specialization is probably the most difficult skill to acquire for an artist. They are two opposing forces, both fighting for very different objectives. As an artist, you want to express yourself and write what feels most sincere. As an entrepreneur, he is always looking for what is going to work well, will resonate with readers and will eventually sell. As someone who spent years simplifying imaginary conversations between both sides of the self, the writer, and the entrepreneur, in search of balance, it took me a long time to understand that you can not have one without the other. You cannot become a successful writer in the digital age without a certain awareness of how the business world works. The entrepreneur in you is the part you want to show off in meetings. The entrepreneur is the one who wants to negotiate agreements, contracts, opportunities and more. The entrepreneur is the one you want to authorize to protect your inner writer and have the practical knowledge of the business world so that you do not find yourself giving away 70 percent of your work, or worse, writing for the minimum wage. If you don’t improve your skill as an entrepreneur, you might still be scouring Craigslist for the next opportunity to write articles for $20. You need to be a writer and an entrepreneur at the same time to manage your freelance business. To succeed, one needs to understand the rules of the game so that you can do what you love, on your own terms, for the rest of your life. With more than 5 million customers, Upwork (formerly oDesk) offers something for each type of independent professional. It adapts to projects both short and longterm, work by hourly or by project and commitments at an expert level and entry level. Regardless of where you are in your career, it is likely that Upwork has something for you. With a clearly diverse approach to the other services on this list, Toptal is for talented and experienced freelancers. The Passing Toptal assessment process gives you supreme access to important projects with large clients (JPMorgan, Zendesk, Airbnb, etc.) and fair payment (without low bid contests). You can also join the Toptal community for frequent meetings and technology events. Unlike most other platforms, in addition to offering millions of projects, Freelancer allows you to compete with other independent professionals in competitions to demonstrate your skills. If you are competitive and have confidence in your experience, it is a great way to show your skills and attract more customers. Although most people see Craigslist as a podium to buy and sell various things, it is actually a great source of freelance jobs. You can easily search for local offers if you prefer jobs in the office, or you can search in major cities if you desire to work remotely. You do not need to spend years obtaining a specialized degree to become a freelance writer or blogger. This career is easy to learn and start, but if you want to succeed, you should investigate and try to educate yourself.